By Katie Behrens. Oct 2, 2015. 9:00 AM. J. R. R. Tolkien was raised in South Africa, fought in World War I, lived most of his life in England, and taught for a long time at Oxford University. So it may surprise you to know that a great portion of his original manuscripts and papers can be found at Marquette University in Milwaukee, Wisconsin. It seems an unlikely location for such precious documents – how on Earth did they find their way to Wisconsin? The short answer is that the Marquette librarian asked first. William B. Ready served as director of libraries at the university from 1956 to 1963, and he recognized the significance and importance of Tolkien’s work well before his popularity. 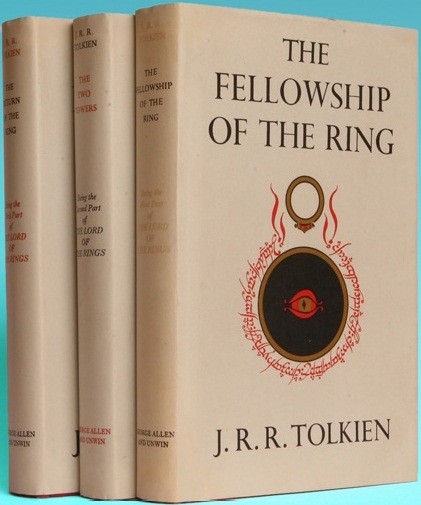 Ready contacted Tolkien in 1956, negotiated the sale, and purchased the author’s professional papers for 1,500 pounds (less than $5,000). As with all writers, who generally receive just a small portion of their book’s profit, Tolkien benefited from the sale of his manuscripts. But aside from sheer monetary worth, there is a possibility that Tolkien, a devout Catholic, accepted the offer because it came from a Catholic, Jesuit university. Whatever the reason, Marquette is lucky to have them. 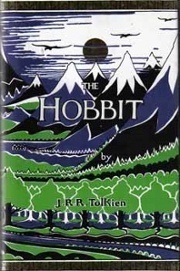 Marquette’s Raynor Memorial Libraries hold the original manuscripts for The Hobbit (1937), Farmer Giles of Ham (a lesser-known story published in 1949), and The Lord of the Rings (1954-1955). There is also a children’s book called “Mr. Bliss” written by Tolkien but unpublished until 1982, and then only as a facsimile. After the sale of his papers, Tolkien continued work on his extensive Middle-Earth mythology in The Silmarillion, and wrote a brilliant short story titled “Leaf by Niggle.” These manuscripts reside at the Bodleian Library at Oxford, along with Tolkien’s more personal papers. The original manuscripts kept in the Tolkien Archive are not the only treasures hidden at Raynor. Tolkien was quite the artist and doodler; he reportedly had a tendency to stop in the middle of his work and draw in the margins. The Lord of the Rings and The Hobbit are usually printed with his hand-drawn maps and sketches. “Thror’s Map” is part of the collection, and so is Tolkien’s watercolor for the dust-jacket of the very first Allen & Unwin printing. There are spreadsheets where he tracked the characters’ journeys in relation to one another, bits of paper (including his students’ exams) where he jotted down notes to himself, an unpublished epilogue of Sam talking to his children, and much more. The library also maintains an extensive collection of secondary sources about Tolkien and his work. Some of the most interesting pieces are showcased every few months in an informal public viewing. Even though fans would love to look through everything that Tolkien wrote himself, the collection is reserved for researchers and scholars, who can only look at microfilm copies rather than the original documents. And there’s no hope for an online gallery, either; Marquette may have purchased the physical papers, but Tolkien’s intellectual work still belongs to his Estate. For all the fans in the Midwest or those whose travels may bring them close, the Tolkien collection is a beauty to behold. Seeing his distinct scrawl or painting in person is a memorable experience, and you don’t even have to cross the pond to do it.